187 Katie Jane Drive, Horse Shoe, NC 28742 (#3387150) :: Robert Greene Real Estate, Inc.
Come home to Horse Shoe! 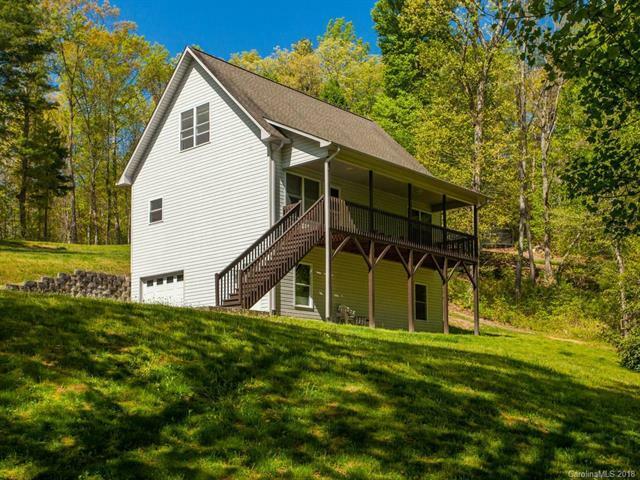 Your mountain oasis awaits with over an acre surrounded by wooded beauty. This home has large bedrooms with a spacious kitchen, open floor plan and unique penny flooring in the living room. The bedrooms offer high, arching ceilings. There is tons of storage in the lower level basement. Outdoors you will love all the space for enjoying the outdoors including your new homestead surrounded by beautiful, mature trees. This Henderson County beauty should not be missed! New septic pump installed in June 2018!